5 Gallon bucket mouse trap has become a favourite topic to discuss. This is true especially among the homeowners who are facing a serious problem with rats at the house. We know that the rat is one of the most destructive rodents that can invade our home quickly. Once they reside in you have, you will have to face problem after problems. You will not only to deal with food contamination, but rats can easily destroy every part of your house. Therefore, many homeowners who have problems with the mouse, they will try everything possible to get rid of the mouse from their house. If a homeowner wants to get rid of the mousses from the house, there are many ways that you can do. The Mousetrap is one of the most effective ways. When we are talking about mouse or rat traps, there are many different types of mouse trap that you can make by yourself. Almost all mouse traps are being made out of our ordinary household items. If we examine closely, all mouse traps fall into two different groups of a mousetrap. The first group is a mousetrap that allows the mouse to walk to the board with a seesaw that finally traps the mouse. The second type of traps usually will entice the mouse to jump onto moving cylinders like object then slip to the water. However, you can create your own design mouse trap that suitable for your needs. In fact, creating a mousetrap is not a difficult task. 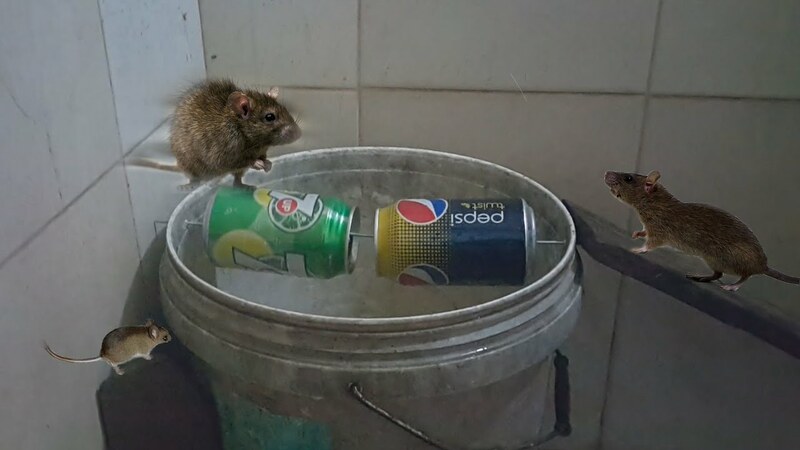 If you have water and a kind of bucket you will able to catch a mouse in your house. However, you want to catch a mouse effectively you can try a different type of mouse trap that can be made out of a bucket and water. Before we talk any further it worth to mention that you can catch a mouse with dry-catch technique or you can catch them and drown them into the water. Many people use different tips and technique to catch rats or mice. However, using a 5-gallon bucket mouse trap is the most popular way of catching this rodent. The basic principle of this mouse trap technique is very simple. You need to put a bait to your mouse trap with cheese cream, jelly, peanut butter or anything that attract the mouse to eat. Wait and see 5-gallon bucket mouse trap in action overnight and see how your trap works. It is better to mention that placing your bucked trap is very crucial. If you set your trap at the correct location, you will be most likely to catch many mice on the area. In this case, you need to plant your trap wherever you have heard or seen a mouse in your house. Additionally, you can find mouse by cheeking any trace/trail, faeces, urine or any food that they have chewed. Remember that you should not use too lightweight bucked in a busy walking area as it will tip over easily. You need to put only about three or four inches of water as a mouse can easily drown in shallow water. Try to use antifreeze to replace water. Antifreeze prevents mice from decomposing quickly. Hence you can avoid the smell from the decomposing mouse. However, you should use antifreeze with care. Never use antifreeze if there are kids and pets around. Cover your dry-catch trap with a lid. Instead of placing your plank to the top of the bucket, you can create a hole and put your plank to the hole. In this case, your spinning PB can be installed in the middle of the bucket. This allows you to cover your trap with a lid. For maximum result try to use multiple planks. Both stationary and seesaw type can apply these tips. You can create your own mouse roller. However, creating a mouse roller is not an easy task. It is better for you to buy it from the store. Before you buy your mouse roller, you have to make sure that the mouse roller fit with a 5-gallon bucket. Get 5 Gallon Bucket. To install metal hanger, you have to make 2 holes on both sides of the bucket. Get an empty aluminium can then create a hole on both sides of the can. Cut off the bottom side of the wire hanger with a snip. Get the wire, and then you have to insert it into the hole of the bucket. From the other side of the wire enter the can through then now you can insert to the other side of the bucket wall. Get some peanut butter and then spread it out to all over the can evenly. To create a mouse entry ramp, get some as mall plank then cut it off into 6 inches. Place one ends of the plank and place it under the hole of the bucket and stick it with glue. Place another end of the plank to the floor. Now fill the buckled with about 6 inches of water and wait for the mouse to come. 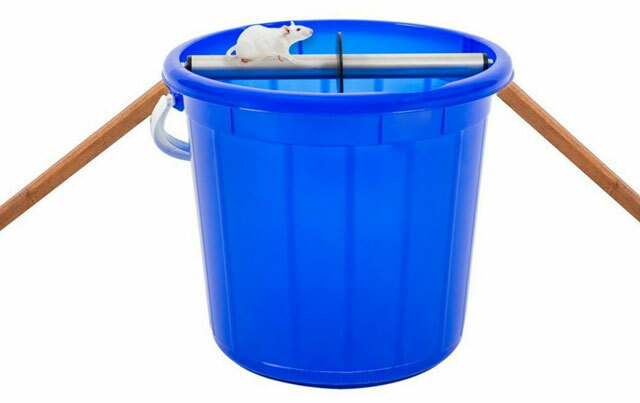 5 Gallon bucket mouse trap is one of the most effective mouse traps that have been used by many people around the world. This particulate mousetrap is not only easy to make, but also will help you to catch the mouse with fewer expenses. In fact, you can use a household item to make an easy but effective mousetrap.